We explain your rights and obligations under the law. 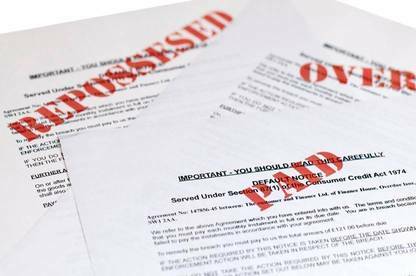 Hearing from the debt collector can be a frightening experience for some. Here are your rights and obligations as a debtor. I don't believe I owe this money. What should I do? Dispute the debt immediately, in writing. Of course, you should have a valid reason for doing so. You may have already paid, or perhaps you are not the person who owes the money, or the amount of the debt is wrong. If you don't believe you owe money, dispute the debt immediately, in writing. Set out your reasons clearly, and provide evidence if possible, or your objections may be treated as delaying tactics. If the debt collectors call, explain clearly and rationally that the debt is in dispute. Keep your cool: debt collectors aren't easily swayed by threats. Most debt collectors keep records of their phone calls so take careful note of the date and time of calls and who is speaking. You'll need your own records if there is an argument later over who said what. If you can't resolve matters, take your case to a Disputes Tribunal. I've told the debt collectors I dispute the debt, so how come a retailer has just turned me down for credit? If you discover you have been listed with a credit reference agency over a disputed debt, phone immediately asking them either to remove your name or to place a "flag" next to your name stating the debt is in dispute. Follow up in writing. If I don't pay, can the debt collectors take my possessions? If you get behind on your payments under a secured loan entered into on or after 1 July 1998, or on any hire purchase agreement (regardless of when you signed up), the item you bought on hire purchase or listed as security for the loan may be repossessed. But the repossession agent can only take these goods, not anything else. Do I have to pay collection fees? Only if you knew about them when you bought (or ordered) the goods or services. Traders can warn you about collection costs by clearly displaying notices about them, printing notices on credit application forms, or getting you to endorse your cheque so you agree to be liable for collection costs if it bounces. If a debt collection company demands collection costs and the trader did not tell you about those costs at the time you requested the goods or services, both the trader and the debt collectors have breached the Fair Trading Act. The only exception is if the trader has explicitly directed the debt collectors not to demand these costs. Do I have to pay late fees and interest on an overdue account? Only if you agreed to do so before you entered the contract. If the creditor takes you to court and wins, the court might order you to pay interest and collection costs. But the creditor can't mislead you by suggesting this will happen automatically. If you agree you owe money, don't assume you should pay the creditor directly. They may have sold the debt outright, which would mean you now owe the debt collector not the creditor. Debt collection letters include instructions on who to pay. Can private individuals hire debt collectors to collect money for them? Yes, but some debt collectors prefer to work for large businesses. Shop around to find someone who is prepared to do it for a reasonable price. You can only go to a Disputes Tribunal to enforce debts if the other party disputes they owe the money. Do most debt collectors work on commission? Arrangements vary but a combination of upfront fee plus commission on actual collections (as high as 30 percent of the total debt) is common. Debt collectors sometimes buy old or unpromising debts outright in a process called "debt factoring".